Monthly Board of Governors meetings are normally held at a Bay Area TV station. 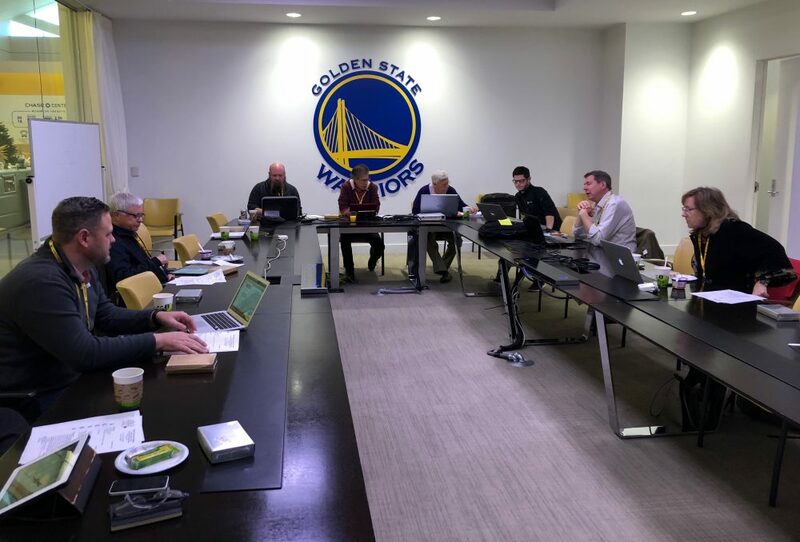 But in December we met at the Golden State Warriors headquarters in Oakland. 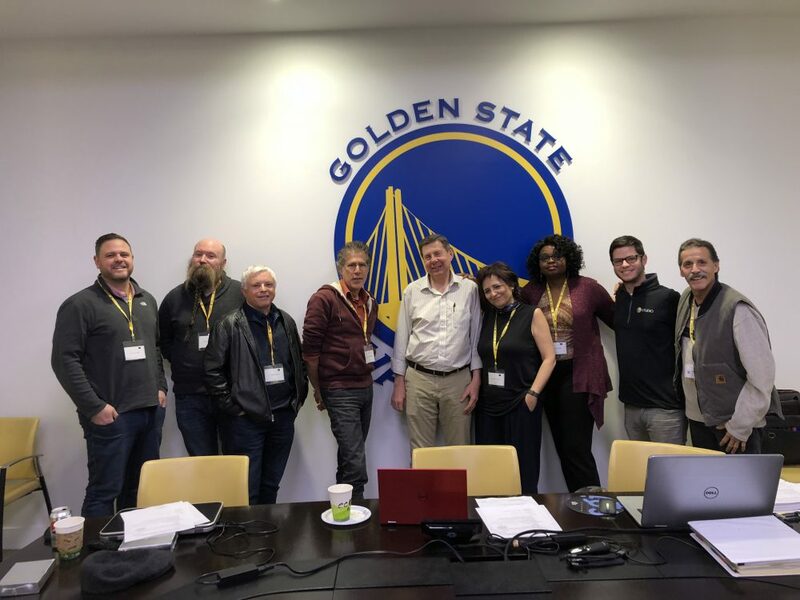 Board member Blake Wilberding, left, Director of Production for Warriors Studio, hosted the December Board Meeting for the SF / NorCal NATAS Chapter. 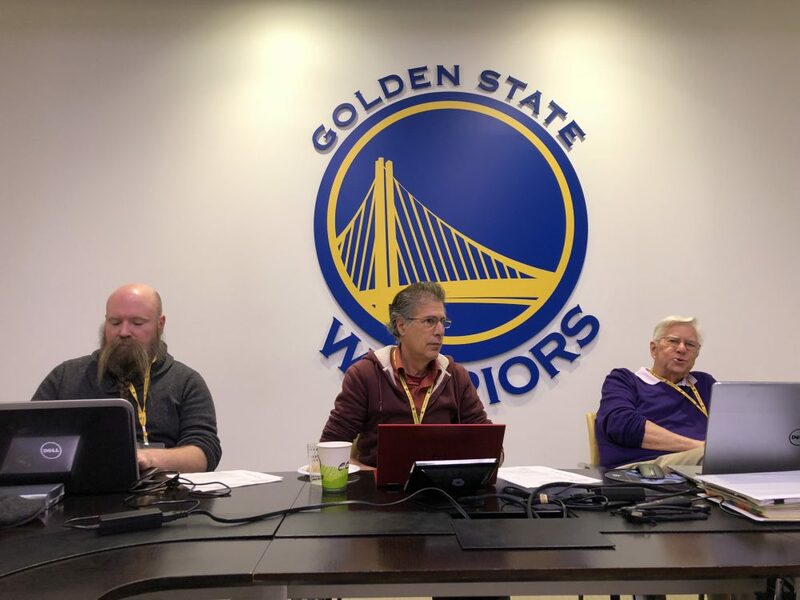 Read Blake’s story about working at Warriors Studio here. Keith Sanders, NATAS Education Chair listens on. 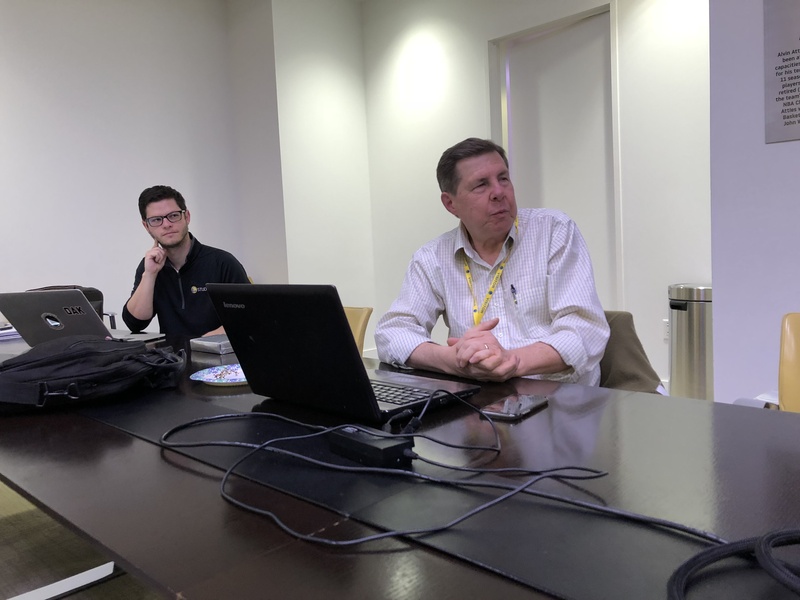 At the head of the Board table (L-R), NATAS Secretary Randy Forsman takes minutes, President Steve Shlisky, Executive Director Darryl Compton. 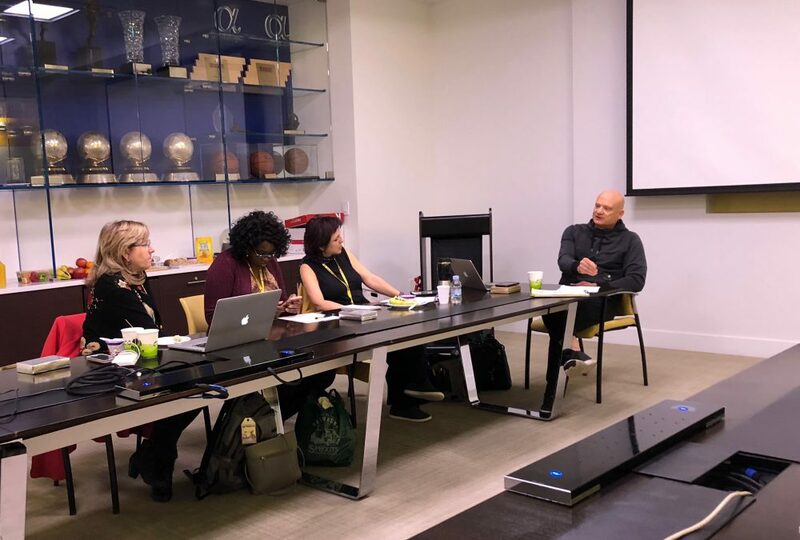 Wayne Freedman, Awards Committee Chair, runs through some changes and important points for this year’s Emmy® Awards Call for Entries. 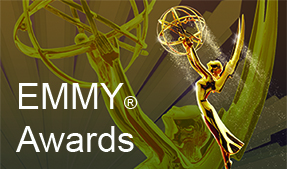 Read his Emmy® story this month, Everything You Need to Know About Category Rules and Changes. Other Board members (L-R), Treasurer and Trustee Alison Gibson, Terry Adams, Patty Zubov. The Board meets monthly, usually at a Bay Area TV station, and by conference call – normally the second Saturday of the month from 10am to 12pm. Meetings are open to all members! The Board of Governors is the governing body of the local Chapter of The National Academy of Television Arts and Sciences. The Officers: President, Vice Presidents, Secretary and Treasurer are elected by the Board of Governors. The National Trustees are also elected by the Board of Governors. Governors are elected by the Professional and Life members of the Chapter. Half of the Board is elected each year to serve a two-year term. Presently there are Board member positions open! Interested? Email Executive Director Darryl Compton. See BOARD MEMBER Bios here. 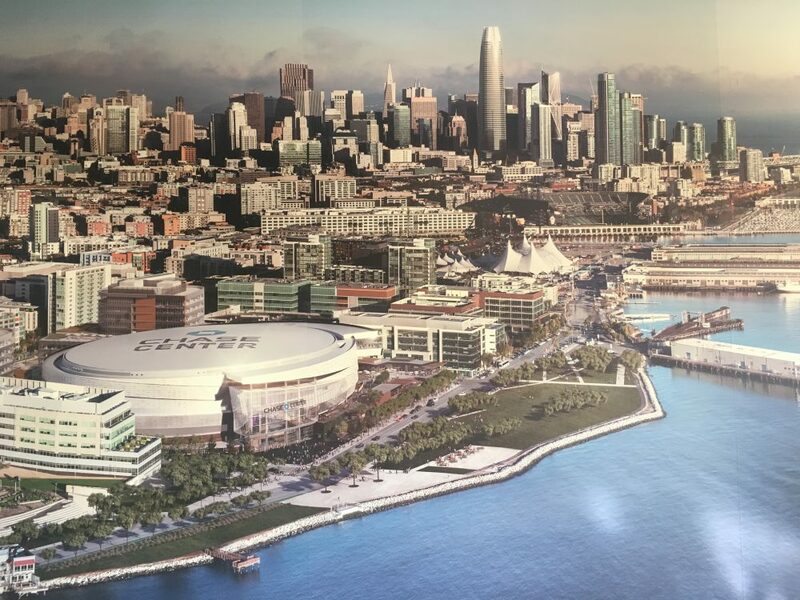 Future home of the Golden State Warriors – Chase Center, San Francisco. The arena is scheduled to open to the public before the start of the 2019–20 NBA season. Back to “Off Camera” INDEX page….